You’re not alone in trying to figure this out - it’s what I get the most questions about on The Boat Galley. The first thing to realize is that there aren’t any universal answers - everyone has their own favorites and their own style of cooking. So above all, use your own judgment about what you want! Do I really need it? Or can I use something else that I already have? A skillet can be used in place of a wok, and a wine bottle as a rolling pin. Many times, I realize that I really don’t need something - saving me both money and space! Can I use it in the space available? 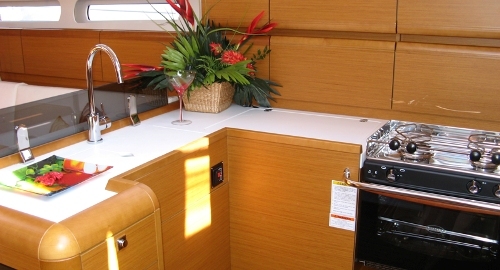 Work spaces, counter spaces, stoves, ovens and sinks are generally smaller on a boat. Many times, “standard size” items are too large for the average galley and you need to search out “compact” items. Measure everything! Will I be able to stow it? Three items need to be considered here: space, breakage and noise. Measure your storage space before buying an item, and remember that handles and lids are often not included in stated measurements for an item (when possible, I like the measure the item myself). While many breakable or noisy items can be padded for protection, remember that the padding will require additional space. 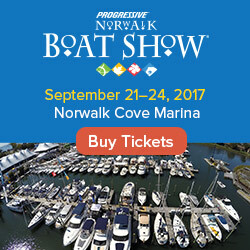 Is it suited to boat life? This is somewhat of a catch-all category, depending on the item. Do you have enough power for it? Will it take a lot of water to clean? Will lids stay on with the motion of the boat? Is it non-slip? Is it easy to hang on to if the boat is moving? Is it tippy? Is it likely to break? Flimsy attachment points, poor quality stainless (or plain steel), brittle plastic or glass, electrical items with little tolerance for voltage variations are all things to be aware of - and avoided for things that you can’t live without! While everyone’s preferences are individual, you can often get good suggestions by asking friends with boats - and even if they don’t know the “best” item, they may have some good pointers on what doesn’t work! 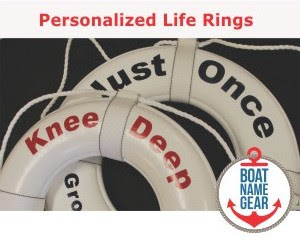 Many of my favorites are listed under Outfitting on TheBoatGalley.com - along with what I like about the item and any drawbacks I’ve discovered.